I hope everyone has been enjoying the holidays with their family. For us, we got to celebrate with my extended family over the weekend and have been able to enjoy some quiet time at home this week. It used to be that I had to work the entire holiday period with just Christmas and New Year's Day off, so I am definitely thankful to be at a point where I get to spend an extended period of time at home just hanging out with my kids. It is very relaxing and we have watched movies, played games and simply hung out together. We enjoyed our big meal for Christmas at lunch time. Since it was just the four of us celebrating, I once again went with a turkey breast. At Thanksgiving, we had a Jennie-O Oven Ready Bone-In Turkey Breast and it was so easy that I decided to do the same for Christmas. When I got to the store, they only had the Oven Ready Boneless, Skinless Turkey Breast, so that is what we went with. Just like the bone-in product, it was very easy to prepare - going right from my freezer to my oven. I definitely appreciate not having to thaw it for a few days in advance, like when I make a traditional whole turkey. I also really like that the turkey breast gives us just enough meat for the main meal and one or two leftover meals. When it comes to leftovers, the family doesn't seem to enjoy having the same meal again, so we always mix it up. My husband enjoyed an open face turkey sandwich - white bread, piled high with turkey and mashed potatoes and covered with gravy. My kids wanted paninis, which we make on our waffle maker most of the time, and a side of sweet potatoes. I had some bacon in the fridge that I needed to use up, so I fried up the Hormel Black Label Thick Cut Brown Sugar bacon. I prefer to buy traditional bacon and fry up the whole package, putting the balance of what was not needed in the freezer for future sandwich making. I know that I could always use a ready-bacon, but I like having some bacon fat on hand for making eggs and my kids can use it straight from the freezer for their sandwiches. The brown sugar on this bacon provided a wonderful aroma while frying and a great touch of sweet to the bacon. Today, we used the turkey and the bacon to create Turkey Bacon Ranch Paninis (or Wafflewiches perhaps is a better name). Simply place your slice of bread on the waffle maker, add turkey, bacon, ranch and a bit of cheese, top with another slice of bread and close the cover. Once the bread is toasted and the cheese melted, the sandwich is ready to go. How do you use up leftovers? No compensation was received for this post. 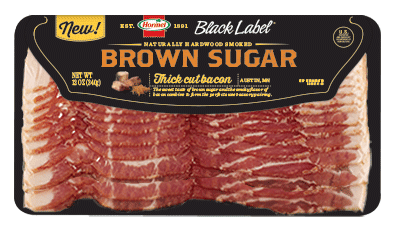 Product samples and thought starters are provided by Hormel through the Hormel Extended Family Blogger program, in which I participate. All opinions are my own or that of my family. One of the joys of the holidays is not only having time to spend with family and to relax, but it also means time for extra reading (and watching sappy holiday movies - but that seems to be more limited as my kids get older and don't want to watch with me and don't go to bed as early). 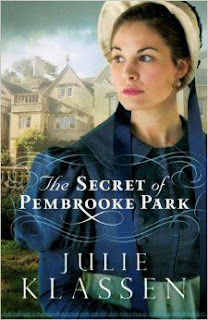 As the holidays approached this year, I started reading The Secret of Pembrooke Park, by Julie Klassen. I have previous read The Dancing Master (you can see my review here), also by Julie Klassen and thoroughly enjoyed it, so I had high hopes for The Secret of Pembrooke Park (it did not disappoint!). As I began to read the book, I discovered that not only was this period literature with some tales of romance, but also a mystery! I have long been a fan of mysteries and to have one set against the background of England in the early 1800s was awesome. The characters were wonderfully developed in this story. Of course, there were some facts about the characters that were not fully disclosed and others that were revealed in time, by design since the story was in part a mystery. I quickly found myself worrying about Abigail's safety and second guessing whether she could trust those that were around her. What was their history and what did they want with Abigail and her family? I worried about whether she would find love and more importantly, the right love for her. The mystery and the intrigue that the author developed really pulled me in to the story. I found myself wanting to read "just one more chapter" (and they weren't short) before calling it a night. I even took the book to the gym with me and walked on the treadmill, instead of running, so that I wouldn't lose that time and could continue to read the book. My son was impressed that I managed to read the over 450 page book over the course of a few days, but with as good as the story was, I simply didn't want to put it down. Facing financial ruin, Abigail and her father search for more affordable lodgings, until a strange solicitor arrives with an astounding offer: the use of a distant manor house abandoned for eighteen years. The Fosters journey to imposing Pembrooke Park and are startled to find it entombed as it was abruptly left: tea cups encrusted with dry tea, moth-eaten clothes in wardrobes, a doll's house left mid-play . . . The handsome local curate welcomes them, but though he and his family seem acquainted with the manor's past, the only information they offer is a stern warning: Beware trespassers drawn by rumors that Pembrooke Park contains a secret room filled with treasure. This catches Abigail's attention. Hoping to restore her family's finances—and her dowry—Abigail looks for this supposed treasure. But eerie sounds at night and footprints in the dust reveal she isn't the only one secretly searching the house. As old friends and new foes come calling at Pembrooke Park, secrets come to light. Will Abigail find the treasure and love she seeks . . . or very real danger? I thoroughly enjoyed this book and recommend it if you enjoy period literature, romance and mystery. I look forward to reading more books my Julie Klassen. The winners have been selected and e-mails sent to the five winners of the Lloyd's BBQ coupon giveaway. You can see the list of winners on the Rafflecopter widget in the giveaway post. Thanks everyone for entering and be sure to check out the Cook'n Recipe Organizer Giveaway. The winners of the Qrunch Burgers coupon giveaway have been selected through Rafflecopter and e-mails sent. You can check out the giveaway post to see the list of winners on the Rafflecopter widget. Congratulations and be sure to check out the active giveaways.